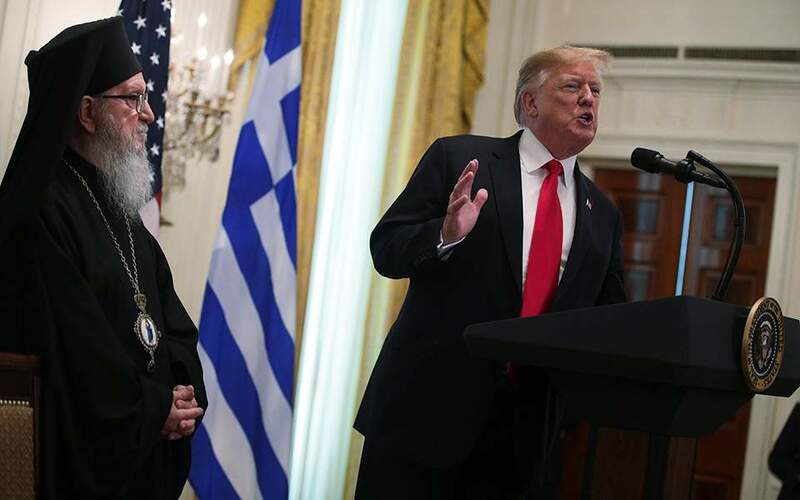 Greek-American and pro-Greek senators and congressmen in Washington are working hard to defend Greece’s interests and when Turkish President Recep Tayyip Erdoğan threatens either Greece or Cyprus, he damages Turkey’s image in the United States, the Greek newspaper Kathimerini said on Tuesday. Greeks and Cypriots in America are a force to be reckoned with, the newspaper said, underlining that the Greek-American diaspora should not be discounted by any party who poses a direct or indirect threat to Greece or Cyprus. Kathimerini pointed to the case of the blocked sale of F-35 fighter jets to Turkey as one example. “Greek-American, as well as pro-Greek, senators and congressmen in Washington have been at the vanguard of the effort to stop the jets from being delivered to Turkey, making bold interventions that reflect their influence and interest in not upsetting the balance of power in the Aegean and the eastern Mediterranean,” it said. The United States has blocked the transfer of F-35 new generation fighter jets to Turkey over its purchase of S-400 air defence missiles from Russia. U.S. President Donald Trump imposed sanctions on Turkey last year over its incarceration of an American pastor, who was then released. Kathimerini said the “world’s biggest economic and military power has the ability to make a lot of things happen”. Anyone looking at Greek-Turkish relations as one-dimensional is gravely mistaken, the article said, adding that the equation is a complex one that often includes powerful players. The presence of the Greek-American community is an intrinsic factor in any equation that concerns Greece. The power of the diaspora should not be discounted by any party who poses a direct or indirect threat to Greece or Cyprus.